How Hardware Drives The Shape Of Databases To Come — A catch up with database pioneer Michael Stonebraker on what new compute, storage and networking technologies mean for the future of databases. SQLCheck: Automatically Identify Anti-Patterns in SQL Queries — A tool that works with multiple SQL dialects and looks for common anti-patterns that lead to performance problems. AWS Glue: A New Extract, Transfer, and Load (ETL) Service — A new managed service from AWS for ETL jobs. Uses Spark under the hood and in one region only for now. A Primer on Database Replication — Increasing speed and resilience is great, but there are also costs and complexity associated with replicating databases, as explored here. 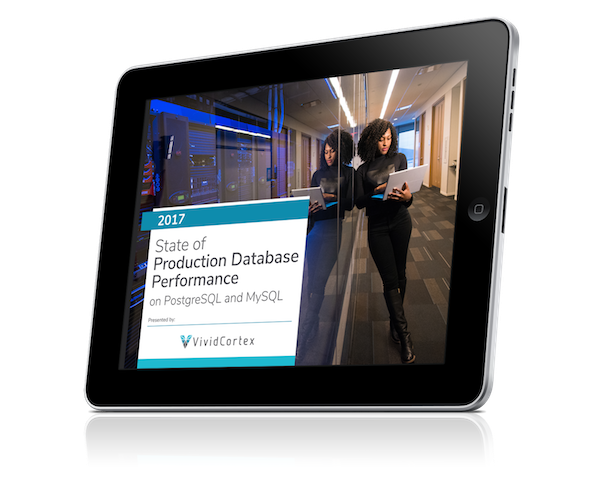 Migrating 1200 Databases From MySQL to Postgres — A company had a separate DB for each user so moving to Postgres demanded serious care. PostgreSQL Gets a Fix for a Passwordless Authentication Flaw — Newly released versions of PostgreSQL fix three security vulnerabilities and over 50 other bugs. Migrating Existing Datastores from Redis to ElastiCache — How an app with over one million users moved from regular Redis over to AWS ElastiCache. MongoDB Has Filed Confidentially For IPO? $20 Free on a new Linode account — Linux cloud hosting starting at 1GB of RAM for $5/mo. Use promo code DB20 for $20 credit. Data Modelling a Clinic Management System — The latest in Vertabelo’s data modelling series. Eventn - Data Processing Microservices — Connect directly to a database and deploy RESTful services for ETL, SQL analytics or data processing. SQLite: The Universal SQL Database Engine — It’s the most widely deployed database of all.